Greece has always been a great destination for holidays, and it still continues to be popular with tourists. Whilst there are hundreds of Greek islands there are some in particular that draw in the crowds. Crete, Rhodes, Kos, Corfu, Mykonos, Kefalonia and Zante are all well known to tourists, with millions flocking to them each year. There is a reason these islands are so popular, they are welcoming and beautiful with fantastic summer weather. Whilst these islands are the obvious choice for your Greek holiday we’re taking a look at some of the lesser known Greek resorts you can also visit. So, if you like the idea of discovering a hidden treasure and having a beach to yourself then hopefully you’ll enjoy this blog. 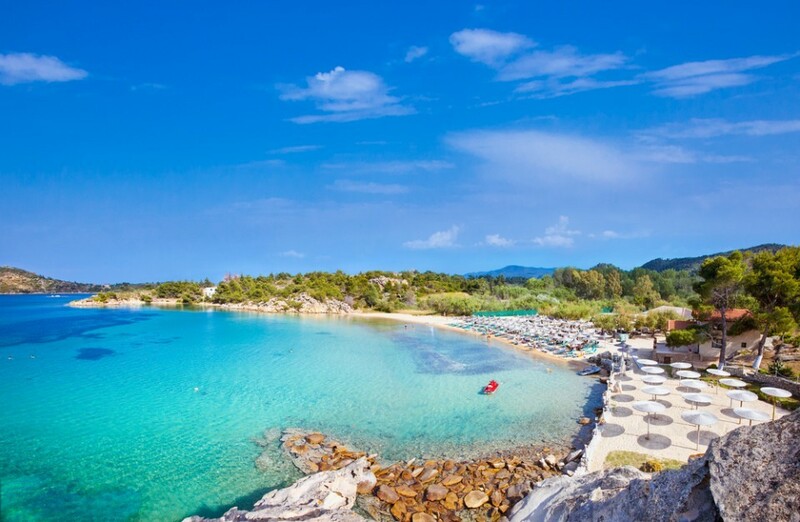 Halkidiki is a three-fingered peninsula which can be found in northern Greece. This area is part of mainland Greece and though lesser known than the islands is a wonderful place for a beach holiday. The three peninsulas are Kassandra, Sithonia and Mount Atlas and all 3 have their own characteristics and charm. Throughout Halkadiki you’ll find many traditional Greek villages dotted around, where you can find traditional buildings and a small and friendly community which welcomes tourists. Athitos in Kassandra is a perfect example, as it’s a small coastal village which has stuck to its roots and oozes authentic Greece. In typical Greek style the coastline of Halkadiki is covered in golden sand and bright blue seas which are postcard perfect. There is one thing different and that’s the fact that the beaches are much quieter which means you can have more scenery to yourself. The natural beauty doesn’t stop at the beach and if you’re feeling adventurous you can go hiking over rugged landscapes such as the Koutsoupia-Siviri trail. We have over 300 Halkadiki hotels on site so you’re bound to find something to suit your needs. This is one of Greece’s best kept secrets and though stunningly beautiful it’s managed to remain under the radar. If the idea of a quiet traditional beach holiday appeals to you then Lefkas could be the one. Lefkas can be found sandwiched in-between the popular islands of Kefalonia and Corfu yet is has managed to avoid attracting too much attention. The island has a tropical feel to it with coastal villages surrounded by lush green forests and white sandy beaches. 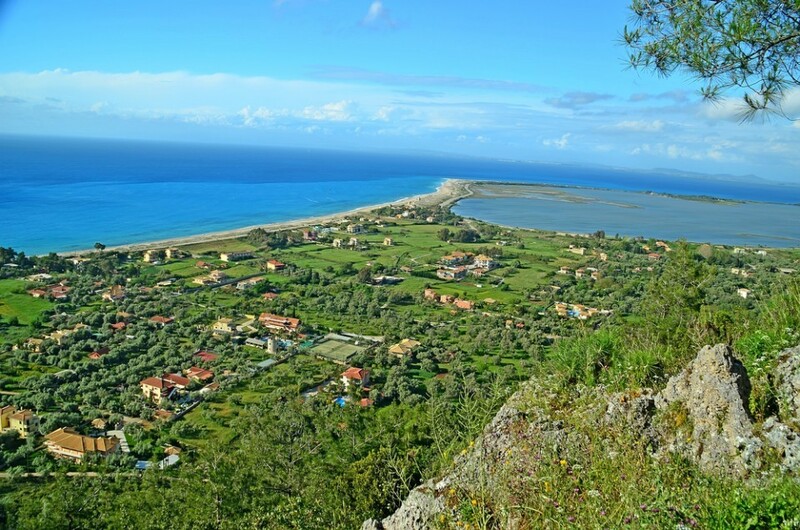 The most popular resort in Lefkas has to be Nidri which is a former fishing village on the east coast. Here you can expect to see stunning coastal views, spend your days on boat trips and eating in family friendly cafes and restaurants. Don’t expect to find any wild nightlife here as life is very peaceful. Also worth a visit is Nikiana, which is 7 miles north of Nidri and is perfect for quiet breaks by the sea. If you’re into nature and hiking then you’ll be more than satisfied with Lefkas’s pine forests, waterfalls, and mountain peaks, all of which provide epic backgrounds for any photo. We have over 140 properties on the island to choose from, many of which have breath-taking views of the iconic coastline. This small Greek island can be found east of mainland Greece and is actually very close to the Turkish coast. Because of its position in the Aegean Sea, Samos benefits from hot temperatures, meaning it’s a great destination in late summer too (September and October). Samos is a historical island which was famous for its vineyards and wine production as well as having 2 UNESCO World Heritage sites. Samos has managed to retain a lot of its traditional feel, with many of the villages staying true to their roots. You won’t find many luxurious hotels on the island, but you will find are many family run, friendly and homely accommodation. Pythagorion is probably the island’s most popular resort, which coincidently is named after the famous mathematician. Nowadays Pythagorian offers lovely holidays in a UNESCO protected port which is filled with quaint terracotta buildings and many fresh seafood restaurants. Samos Town is also a popular base for your Samos holiday; it can be found in the northeast coast of the island and it is a traditional fishing village with markets and welcoming bars. 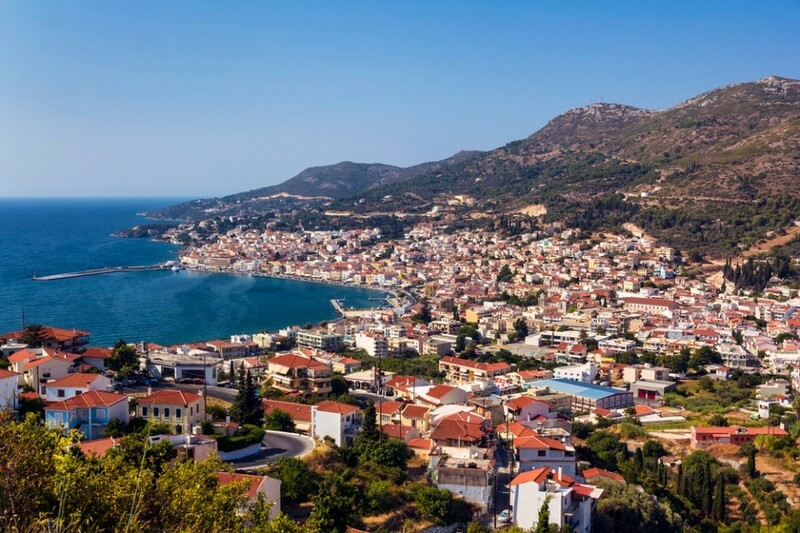 If you think Samos could be for you then you can take your pick from over 150 island properties on the Travel Republic site. Located next to the famous Santorini islands, Naxos offers a rugged, natural landscape just begging to be explored. 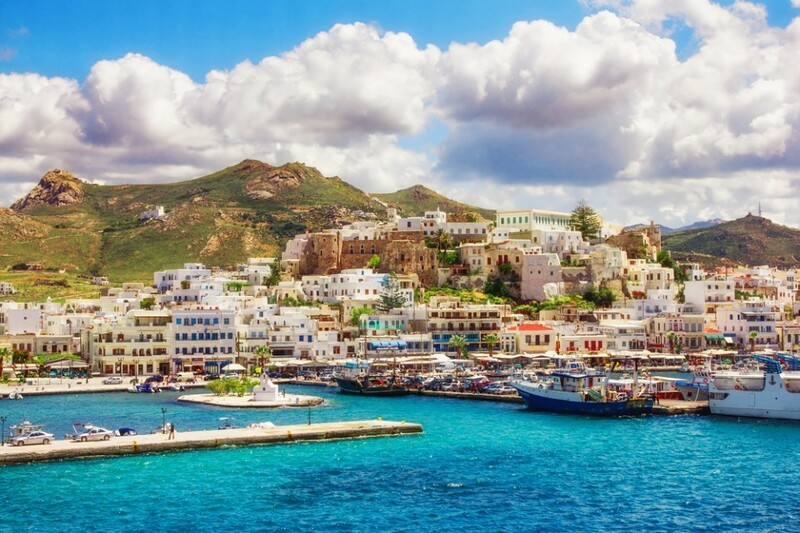 It’s the largest island of the Cyclades (name of Greek islands southeast of mainland) and has plenty to keep you entertained on a week’s holiday. As Naxos isn’t as well-known as other Greek islands this means you can enjoy the islands unspoiled, natural charm. If you’re a nature lover then Naxos will certainly please you as the land is largely untouched, mainly due to the fact it’s used for farming. You’ll also find the beaches are relatively empty, meaning you get to enjoy the beautiful coast to yourself. Agios Giorgios is a great base for a beach holiday as you can enjoy the scattering of Greek tavernas and cafes which are doted around the beach. History fans will no doubt fall in with the mountain village of Apeiranthos which has ancient marble buildings overlooking the coast. The village doesn’t permit cars in the main street and you’ll find much of the village has kept to Greek traditions. If you fancy a trip to picturesque Naxos, then you have a choice from over 240 properties on site. Also known as Euboea, despite being the second largest Greek island has managed to stay relatively unknown. As a result of this, the island is a hidden gem where you can enjoy scenic landscapes, traditional villages and unexpectedly a ski centre! One of the biggest draws to the island is no doubt the natural hot springs which are located in in the town of Edipsos. Here you can indulge in the natural springs which are rumoured to have healing powers. 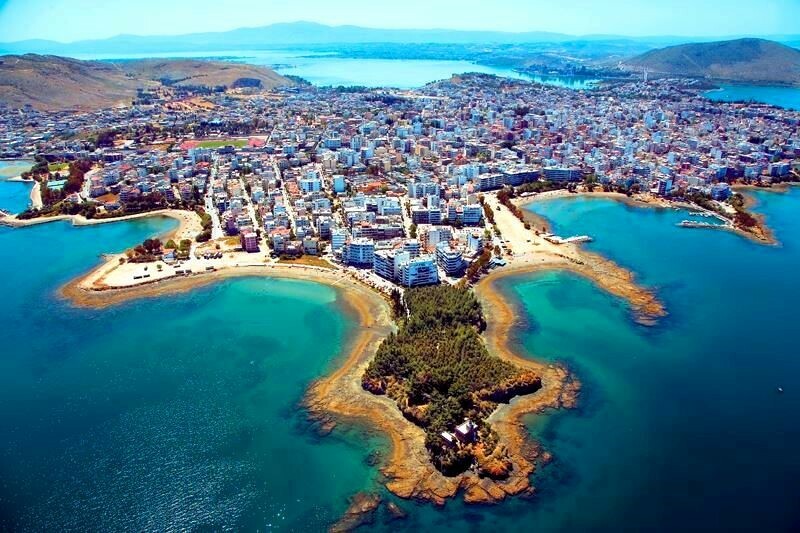 Chalkida is the capital of the island and here you’ll find lovely beaches, historical buildings and welcoming locals. You can drive to the city from Athens as its only 1 hour away and is attached to the mainland via the Chalkida Bridge. As Evia is so large there are plenty of activities to keep you busy and for those who want a break from the beach can take part in horse riding, water sports and hiking. Like all of Greece Evia has wonderful coastal scenery and with it being a bit of secret you can enjoy the views without the big crowds. If you fancy Evia then you can search through over 70 properties on the Travel Republic site to find accommodation that suits your needs. Have you been to any of these islands? Any hidden Greek gems that you’ve discovered?